Home » Modern Balanced Scorecards » KPI & measure design » What is the difference between a measure and an indicator? What is the difference between measures and indicators? This question has become a perennial topic on many discussion forums: To us there is a clear and useful distinction. Unfortunately, a very loose language merges these separate words, measures and indicators, into a single thing or idea. They are wrong to do that. I have seen organisations where every single measure on their scorecard is called a KPI. To us this is obviously silly, as not all indicators are key – some must be more important than others. Some measure results, rather than performance. Some are measures, not simply indicators. The problem is they are different, or rather there is much to be gained by recognising that they are different things and therefore opening up a greater clarity and usefulness in how these measures, indicators, Performance indicators, Key performance indicators (KPIs) are chosen, designed and used. You can benefit from understanding distinctions between these ideas; improving how you think about how you measure and manage performance, how people talk about performance and the basis upon which they take decisions. So a carpenter wants to know that a table is 2 metres by 1 metre. That is a measure. There is a standard metre out there and we all agree how long it is. A restaurant owner wants to know that a table will seat six people. That is an indicator. It indicates it size, but does NOT measure it (by a universally agreed Metric or Imperial or Troy or any other system). So a “performance indicator” indicates (not measures) performance. A “results indicator” indicates results. A “key performance indicator” is a “performance indicator” that is more important (key) than others. This should not be made more complicated. I suggest it all starts here. Plain English rules, OK! OK, measures and indicators differ, but which is more useful? To the carpenter, the standard measures 6ft x 3 ft is most useful. Knowing it needs to seat six people does not help him to order wood. The carpenter needs very precise measures. To the restaurant manager, knowing you can get six people around a table is more useful – the specific measurements do not matter. The indicator is more useful. Notice an interesting twist in the last story. To the restaurant manager the “measured” size of the table is less useful than the indicated size; the size based on judgement. The measured size is a poor measure of how many people the restaurant could seat at any one time. This is important. What is measurable, is not always useful. What is useful is not always a measure. a) I fill up my car with fuel. It is measured by the pump to 1 part in 10,000 and I pay accurately to 1 part in 10,000 ie 70 litres costs me £100.01 precisely (and there are clear standards for litres and money – in the UK anyway). Accurate and useful for paying, or calculating fuel consumption. (Actually to be accurate this volume will also depend on the temperature, as the fuel expands on warmer days, so the volume will be set at a particular ambient temperature). b) My fuel gauge is electronic, and is measuring the fuel remaining in a precise objective way. It is probably capable of being modelled, in that someone knows all the parameters that went into it, but only gives me an INDICATION that is it a quarter full; a useful indication; useful and reasonably accurate, but an indicator. c) My trip computer calculates instant fuel consumption. It appears as a (probably poor) measure in miles per gallon. It measures it. It is useful to adjust my driving. However, I can’t influence it much, apart from slowing down and taking my foot off the pedal. It is really an indication of instant fuel consumption. d) My trip computer calculates miles travelled and fuel used, since I last reset the computer, to give me an average fuel consumption in miles per gallon. Average fuel consumption looks like an explicit measure, but is really an indicator. e) My trip computer also calculates distance until empty: very useful. It is indicated in miles. However, that is only an indication of how far I might be able to travel assuming conditions going forward are similar. It is a good measure of what I have used. It is an indication how far I might get. It has not measured the fuel consumption going forward. It does not know the terrain that I am heading for, how different it is and how I will drive. I do. It is useful, and looks like a measure, but for my purposes it is ONLY an indicator; indication of how far I am likely to get. All so far are objectively measurable. For my practical purposes, some are measures (They are measurable – standard exists) – some measures provide an indication. In their own way, all are useful. f) I know I am heading on a busy Monday morning, for the ‘car park’ that is the M25 motorway around London. my fuel consumption will increase dramatically in a traffic jam (stopping starting, changing speed). I can use my judgement to estimate how far I will actually get, or whether I will enjoy a miserable morning on the side of the road waiting to be recovered. Now I apply subjectivity and experience to work out whether to pull over now, or risk carrying on. The measures and indicators in my car are only so useful. In this circumstance, they need judgement to be really useful, to me. A restaurateur knowing a table is 6ft by 3 foot is not a very useful measure, as it is only an indicator of how many people could sit around it. The real question is how many people can I squeeze into the room and still serve and be comfortable? Both measures and indicators can be useful. The question is how useful and to whom. All can be “objective”. Let me get to the essence of that story. The difference between a measure and an indicator in the context of organisations and management. Does it accurately assess (measure) what I am interested in? Accuracy. Is it actually useful? Utility. 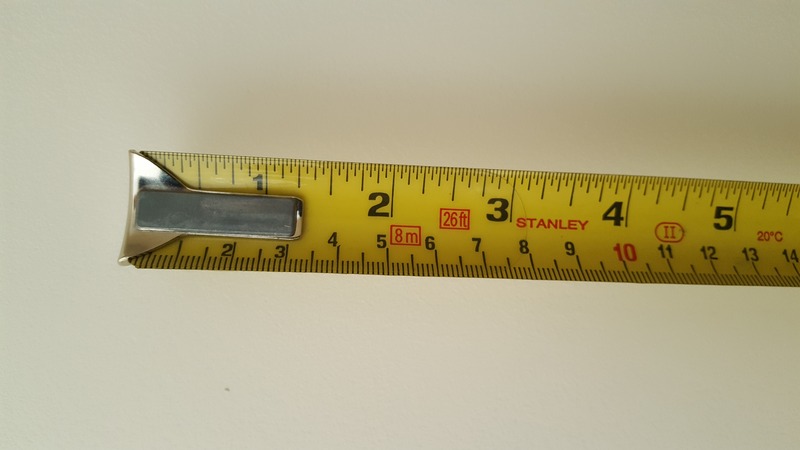 A formal measure does accurately assess the tangible qualities of interest – there is a standard out there (somewhere) and we can all agree what that standard is, inches, metres, pounds, litres, number of customers. But the measure of that characteristic might not be useful. An indicator suggests, gets close to, approximates, the qualities, but not to a necessarily agreed standard. (If dealing with children more could sit around the table). But the indicator is still useful. It is a useful indicator to me running the restaurant. The measure (6×3) is not useful. The indicator is not helpful to the carpenter who needs to order wood. So an important part of this discussion is not just accuracy but utility – usefulness. To a particular person (the carpenter or restaurateur). An indicator can be just as useful as “a measure” (measure here used in a much looser sense). The problem in my mind is that in many organisations, both get called measures. 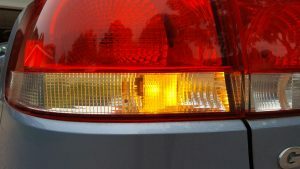 Both get called indicators, but measures and indicators are different in nature. They can both be useful in different circumstances. An indicator can be a useful proxy until a measure is ultimately developed. It can remain useful after the measure is available. Both answer the question “How do I know?”. The lack of a distinction between measures and indicators creates problems: it clouds people’s minds. The distinction is actually useful, as it opens up more options as to what is an acceptable way to assess something for somebody. To answer the questions “How do I know?” and “How well is this known?” Accuracy and utility. (Note I am ignoring for the moment that in business we often find that our measures are not to a proven agreed standard and that a whole industry of data cleansing has emerged to solve this precise problem and to get to “one version of the truth”. That is a whole different discussion.). Remember you don’t always need “Measures” to make decisions. I know my lawn needs cutting – I don’t need a ruler. I know my car needs washing – I don’t need a dirt measure. People seem to be leaving early – I don’t need a clocking out system to see that. We can, and do, make judgements and decisions without measures, but with indicators. In other blogs you will find further clarification and the use of plain English to explain what we muddle up and obscure in our performance management language. After all, jargon should be between consenting adults in private. As the language of performance management shows that is far from the case. Excitant provides training courses on performance management; courses that help organisations talk the same language and perform better. Contact us for details.